Filing for legal separation is an option for couples who are legally required to formally separate before being granted a divorce or who want to engage in a trial separation before committing to a divorce. A legal separation is recognized by the court in all states except Texas, Georgia, Mississippi, Pennsylvania, Florida or Delaware. Although each state's separation and divorce laws differ, there are X basic steps to filing for separation. 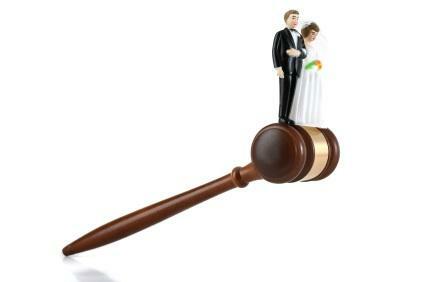 These steps may differ depending on the circumstances of the marriage and separation. It is not necessary to hire a lawyer to file for separation, but doing so may assist in resolving basic issues and filing the paperwork. If the spouses are unable to agree on these issues, the court decides them when issuing its decree. Usually, a hearing will be held in which both spouses can make arguments about the issues to the court. Only one spouse must create, sign and file the petition. A jointly filed petition may expedite the court's approval. Once completed, the Petition for Legal Separation must be filed with the court having jurisdiction over the issue. Additionally, a copy of the Petition must be served upon the non-filing spouse. Usually, the court assists in serving the Petition, but sometimes mailing it to the spouse is sufficient. If the respondent does not respond, the court considers them to have agreed to the terms of the Petition. The judge will then issue order regarding the items listed in the petition. If you are currently filing or considering filing for a legal separation, consider consulting an attorney. A lawyer can advise you about what your Petition should contain and may even handle filing the Petition on your behalf.